What Was Ethan Doing? — Last Sunday, as the legislature was drawing to its theoretical 90-day limit, out of nowhere arrived Anchorage Mayor Ethan Berkowitz in the halls of the Capitol. Why? No one seems to know. I spoke with five legislators, some Rs and some Ds and they all seemed perplexed about what exactly Ethan was doing there. In his tv interview with Austin Baird of KTUU even Berkowitz himself seemed unsure. It’s a mystery. 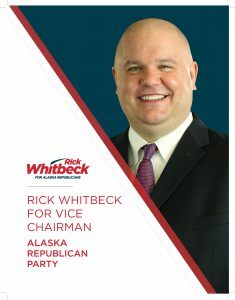 Convention Part 1 — The Alaska Republican Party Convention starts in Fairbanks on Friday and the draft agenda has been released. Aside from the normal wrangling on platform planks that no one, including candidates, will ever read, I’m told the key issue up for debate is what some are calling “the legacy rule.” That is the rule saying the new party leadership elected at the convention doesn’t take over until after fall elections. There will be a vote at convention to change the rule to back to how it used to be, wherein the new leadership takes over immediately after the convention ends. The outcome of this vote could significantly impact who controls the party in the lead up to the national convention and the fall primary and general elections. I’m told the vote looks like a close call right now. Stay tuned. Convention Part 2 — Here is the slate of candidates for Republican Party offices. My only prediction is that Cynthia Henry wins the spot of National Committeewoman. Midnight Sun On The Air!!!! — Masters of Morning Radio Rick Rydell (AM 650 KENI) and Micheal Dukes (AM 700 KBYR) have asked us to come on every week and share our content with their audiences. So listen for our inside scoops Thursday mornings at 7:20 on KBYR and Friday mornings at 7:35 on KENI. Nice Snag — Backers of the PFD Voter Registration Initiative this week found out their issue will go on the November ballot. They say that is good news. If it is, then It is the second piece of good news they received recently. According to APOC reports, BP just donated a fat $10K to their effort. Not bad. Say What — It was a bit jarring this week to hear both Permanent Fund Executive Director Angela Rodell and Rep. Lynn Gattis use the term “back in the day” during seperate legislative hearings. Is that now an acceptable legislative descriptor? Can we expect to hear Senate President Kevin Meyer brag about making a “grip” of budget cuts, but complain about how “the hella hard” it was? 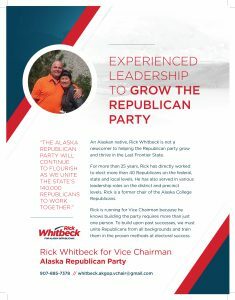 Perhaps Speaker Mike Chenault will announce legislators are “bouncin outta” Juneau and heading for their sweet Anchorage “crib”…..It’s all good legislators, I’m just clownin. Margaret Get Going — The top lines for U.S. Senate candidate Margaret Stock’s first fundraising quarter are in. She took in $244,507.90 and put in another $25,000 of her own money for a total of $269,607.90. 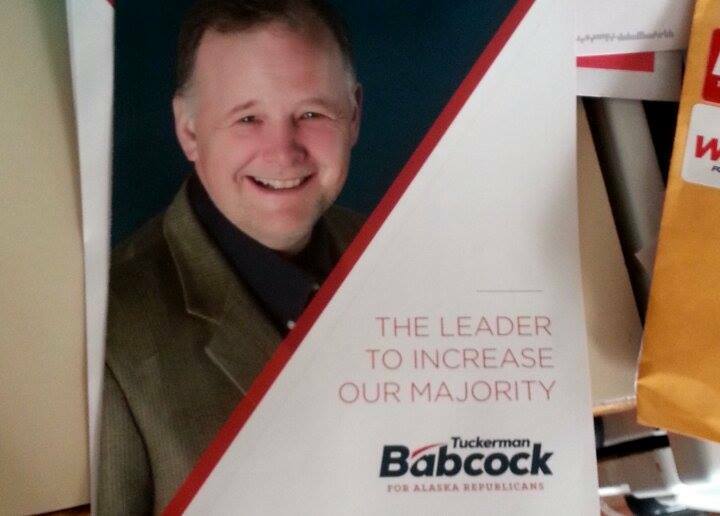 That isn’t good for a “major” U.S. Senate candidate, but it also isn’t embarrassing. Last cycle Democrat Sen. Mark Begich raised $1.045M in the same quarter, and this year Sen. Lisa Murkowski raised $700K in the same quarter. Lisa In Gear — Over in Lisa Murkowski land, I’m told her crew isn’t taking the convention lightly. 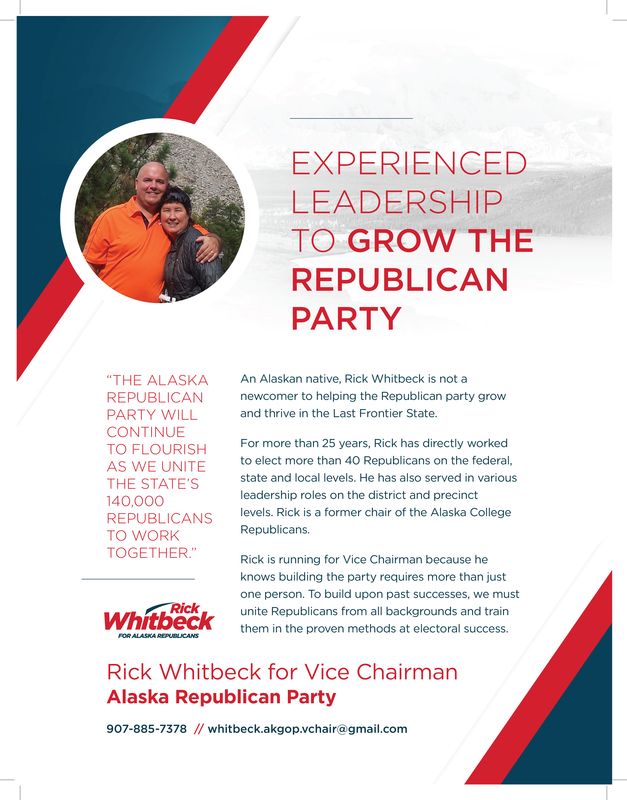 She doesn’t want any sort of the commotion or embarrassment seen in past Alaska GOP conventions, so word is her people have been recruiting supporters to attend the convention in force to make clear this party is HER party. In fact they’ve rented a bus (did someone say party bus?) to help younger, more financially strapped delegated get there…in whatever condition they arrive. Money This — Alaska Republican Party Communications Director Suzanne Downing had thrown out a few barbs at progressive wunderkind Forrest Dunbar during his assembly run suggesting he had unpaid campaign debt. I asked Dunbar about it and he said he had a positive campaign account balance on election day and only incurred a debt because he agreed to pay his campaign people victory bonuses. Then a nearby smart allec made a comment that the Party probably wasn’t familiar with that concept, having gone 0-5 in the spring muni elections. 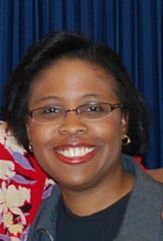 Fact Check — When Assemblywoman Elvi Grey-Jackson tearfully took over as Chair of the Anchorage Assembly this week several mainstream news outlets and a few blogs went all in on the narrative of how historic the moment was because she is the first person of color to hold that position. 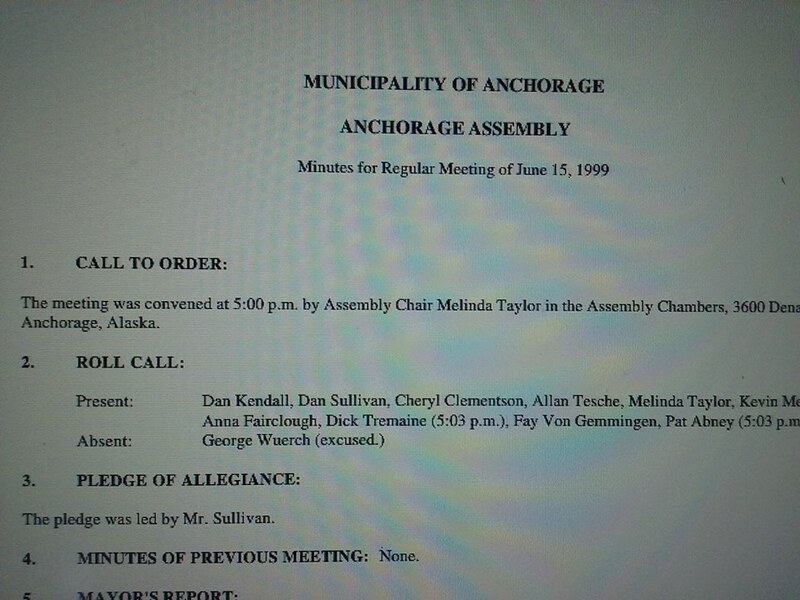 But, as Anchorage radio king Rick Rydell pointed out to me, former Assemblywoman Melinda Taylor served in that position for at least a meeting or two back in 1999. It is rumored, but unconfirmed by The Midnight Sun that she too was once a person of color. 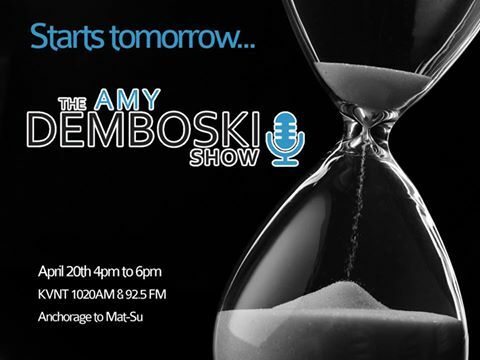 Radio GaGa — Let’s not forget that this week the radio show of Anchorage Assemblywoman Amy Demboski became a thing. And it’s not half bad. 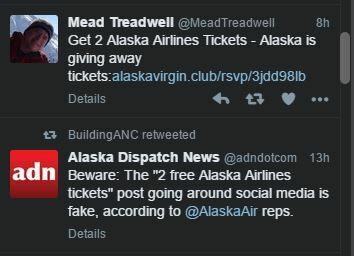 Twitter Fun — So this was seen on twitter this week, sorry Mead. 1 Comment on "Friday in the Sun!!! 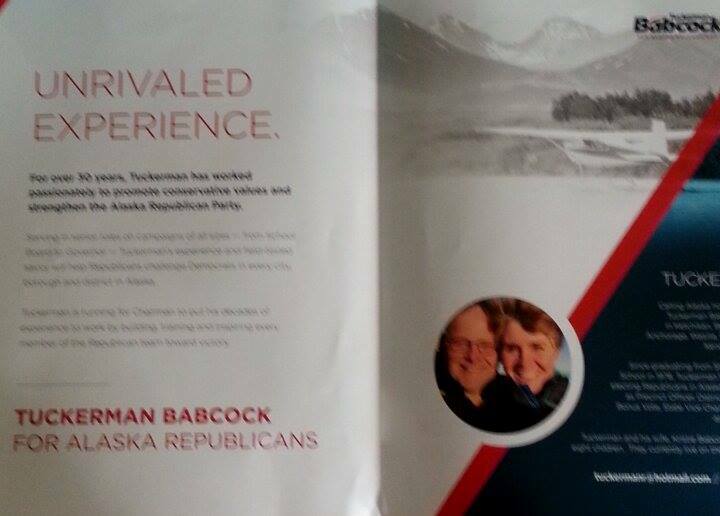 (April 22)"
So, has Lisa Murkowski stated whether she supports Trump or Cruz yet? Even the RNC appears to have given up trying to stop Trump. What does our senior Senator have to say, if anything?